inside and out The gel coat still looks new. manuals, has a full camper enclosure, Bimini top, and full cover. 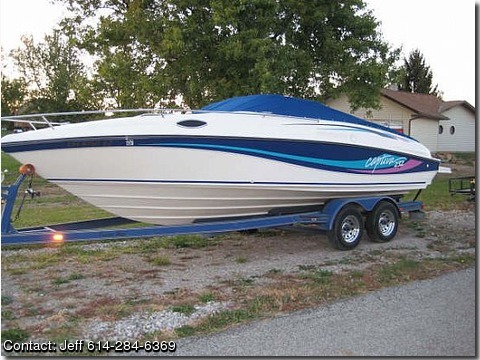 $2000.00 sound system, stainless steel props, custom swim platform, galley, dual batteries w/switch, Port-a-Potty, v8 Mercruiser 260hp engine, and a nice matching trailer with new tires, and a spare. This boat is Turn Key!